Department of Art | Art of the Educator: Final Week! Home » News » Art of the Educator: Final Week! Art of the Educator: Final Week! 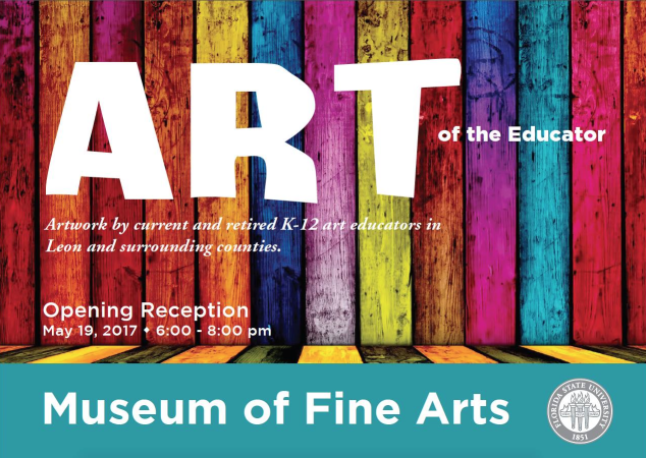 The Museum of Fine Arts’ newest exhibition, Art of the Educator: A Regional K-12 Art Educators Exhibition will end its run on July 9th, 2017. Don’t miss your last chance to see it before it comes down this Friday! This exhibition features the artwork of current and retired K-12 educators in Leon and surrounding counties including Gadsden, Jefferson, and Wakulla. Works are accompanied by artists’ statements as well as statements of pedagogy.